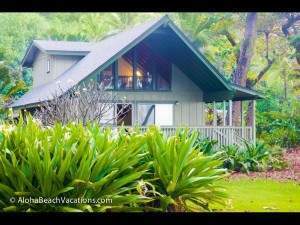 Take in the mountain and waterfall views while relaxing on the outside lanai at this beautiful Kauai vacation hale. 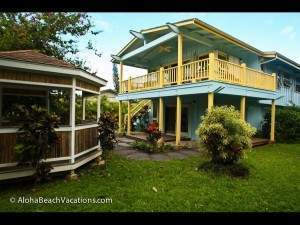 Located directly between Hanalei Bay, voted the best beach in America for 2009, and Hanalei Town, with a quaint selection of shopping and dining. 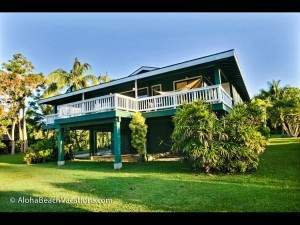 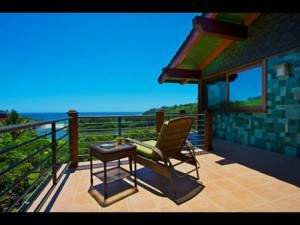 Extremely convenient location and you can walk to Hanalei Village for everything and walk about a block to the beach.